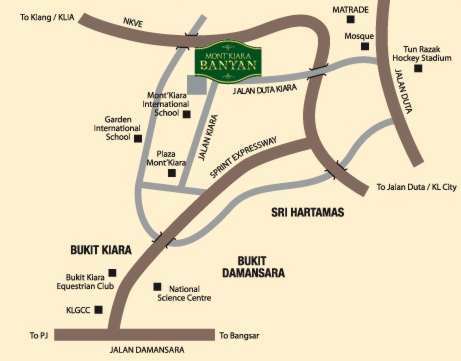 Mont Kiara Banyan is a high-end condominium with low density developed by Sunrise Bhd. on 3 acres of freehold land. There are only a total of 147 units in the 3 tower blocks. 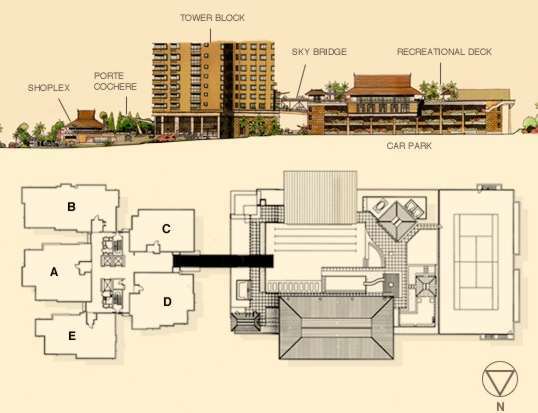 The exterior of Mont Kiara Banyan is inspired by a Balinese theme. Units in Mont Kiara Banyan have only 4 facing directions; they are either face the Mont Kiara International School on the right, Mont Kiara Meridin, another project on the left, Mont Kiara Bayu at the front or Jalan Kiara 3 at the back. Mont Kiara Banyan was completed in January 2007. The units in Mont Kiara Banyan have sizes ranging from 1,838 to 2,318 sq ft. There are only 4 different types of layouts. There are many facilities provided for the residents as well. Mont Kiara Banyan is next to an international school so in terms of advantages, residents of Mont Kiara Banyan with children would not need to worry about their education. With the double-storey shoplex within the premises, residents are able to obtain their food supply and daily needs easily.